Term Dofollow in SEO is introduced by Google in 2005 to reduce the spam indexing of search engines and to improve the result of searches. Dofollow links in search engine optimization pass juice to the linked webpage and also influenced the page rank of targeted webpage. 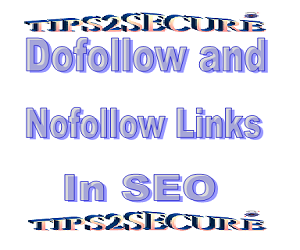 Nofollow link in SEO is the opposite of dofollow links, it instruct search engines that link should not be followed by them. Nofollow links do not pass juice to linked webpages. But It is still useful for getting nofollow links in SEO for webmaster. But how?? We can read further in this post. How to Give Dofollow and Nofollow attribute in your site or blog? 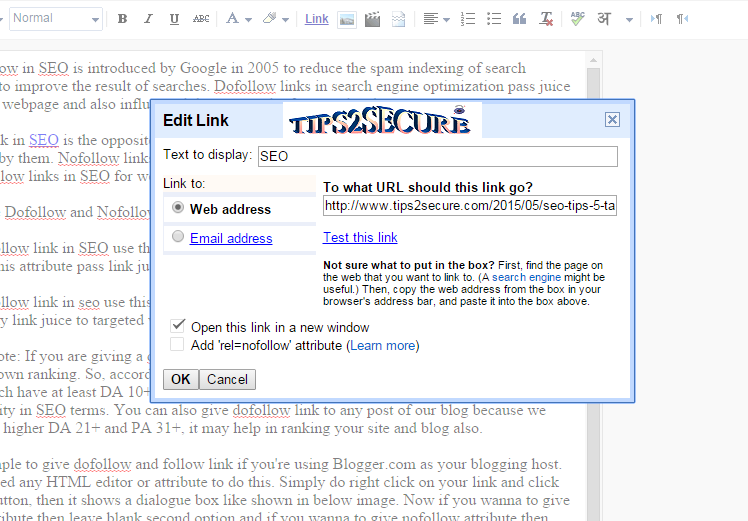 To give dofollow link in SEO use this attribute rel="dofollow" in HTML editor of your post. Remember this attribute pass link juice to website which you are going to link by using dofollow attribute. To give nofollow link in SEO use this attribute rel="nofollow" in HTML editor of your post, and it don't pass any link juice to targeted website. Important Note: If you are giving lots of only dofollow link to low ranked websites then sometime it may harm your own blog ranking. 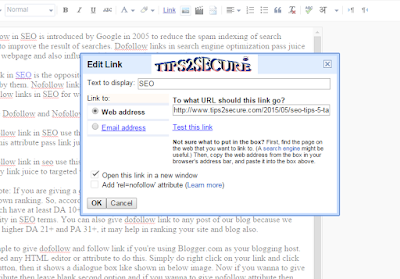 It is very simple to give dofollow and follow link if you're using Blogger.com as your blogging host. You don't need any HTML editor or attribute to do this. Simply do right click on your link and click on change button, then it shows a dialogue box like shown in below image. Now if you wanna to give dofollow attribute then leave blank second option and if you wanna to give nofollow attribute then check the second option box and click OK. 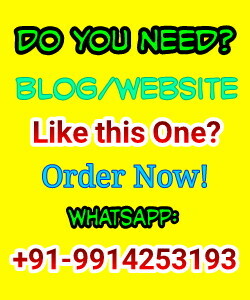 If you're blog owner and getting dofollow links from other websites then it can boost your blog ranking very fast. And if you're giving dofollow link then also it helps other to know about your blog and you will get chance to be linked by others. If you're getting nofollow links in your SEO, then no doubt it won't rank you higher but it can give you referral traffic from those sites who will have linked your site. And if you're giving nofollow link to other blogs which are not well ranked but have good content then it help you to give a quality linked content to your readers by protecting your own ranking of blog. Still have any type of single question or doubt please ask me here by using our comment box. I will guide you. Message: I hope that you have enjoyed 'What is Dofollow and Nofollow Links in SEO [Basics of SEO]' article. However, if you want me to deliver more articles then please share my post. You can use Social Sharing Widget provided at the end of every post. After all, Sharing is Caring!. Hi pawan, you can find all other Seo articles in our SEO TRAINING page. This post is on dofollow and nofollow links only, as its name is already making clear. I will be often searching online intended for articles to help us. There is certainly lots to understand concerning this. I think an individual created the right points throughout Attributes also. Hold operating, great job. Search engine optimization Baclinks Blog Commenting Service And Seo Services.. So helpful SEO basics. Learners like me will gained by this blog. By default, it is a Dofollow link. I had confusion in, what is nofollow and dofollow for long time, simply you have cleared it by explaining the link adding feature in blogspot. Thanks a lot. I am glad you have been helped with the help of this post.